Here you will find all the Word Jumble Van Goyen Level 7 Answers “. This is a very popular new game developed by Bitmango which is a well-known company for trivia and word based games. 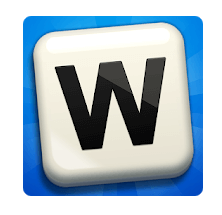 Word Jumble is an unique idea which has merged a puzzle board with letters scambled. In case you are stuck and are looking for help look no further, our staff has just finished solving all Word Jumble Answers and we have categorized them as shown below. Simply click on any of the categories and you will be redirected to the right solutions.”You may come from : Van Goyen Level 6 Answers, so you can pursue your progress with us and take direct reading Word Jumble Van Goyen Level 7. After solving this level, you can go to read next level answers already prepared in this topic : Word Jumble Van Goyen 8.